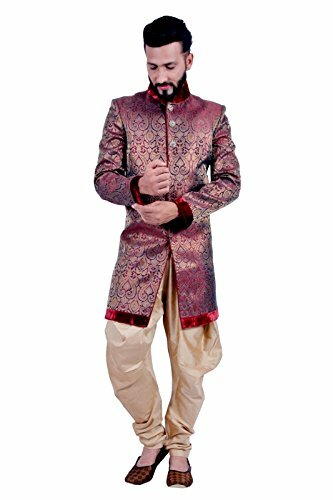 Maroon and Gold Indian Festival Indo-Western Formal Wedding Sherwani for Men | What Should I Say? Maroon is a festive classic specially when teamed up with gold. This versatile number can be considered an important part of your wedding to-do list. Maroon is a festive classic specially when teamed up with gold. Mens Macdonald Modern Tartan 7 Piece Full Dress Kilt Outfit Size: 34" - 36"